Things improved during London’s transport and building boom of the mid-to-late 1800s, which saw the removal of some of Westminster’s worst neighbourhoods, among them part of a slum dubbed ‘the Devil’s Acre’ by Charles Dickens, which was demolished during the construction of Victoria Street, completed in 1851. But despite Victoria’s emergence as a thriving transport hub, bounded by Westminster to the east, Pimlico to the south and Belgravia to the west – with a prized SW1 postcode to boot – the area around Victoria station remained a dreary backwater in residential terms. Until now, that is. An ongoing £4 billion regeneration scheme led by Land Securities, the major landowner in the area, and other developers such as Northacre and Grosvenor, the area looks set to become London’s newest prime residential neighbourhood. And, says Robert Oatley of Knight Frank’s Victoria and Westminster office, ‘at half the price of its more fashionable neighbours’. As a result of all that, a breed of ‘New Victorians’ is now moving in – and here are some of the finest apartments that they’re targeting. 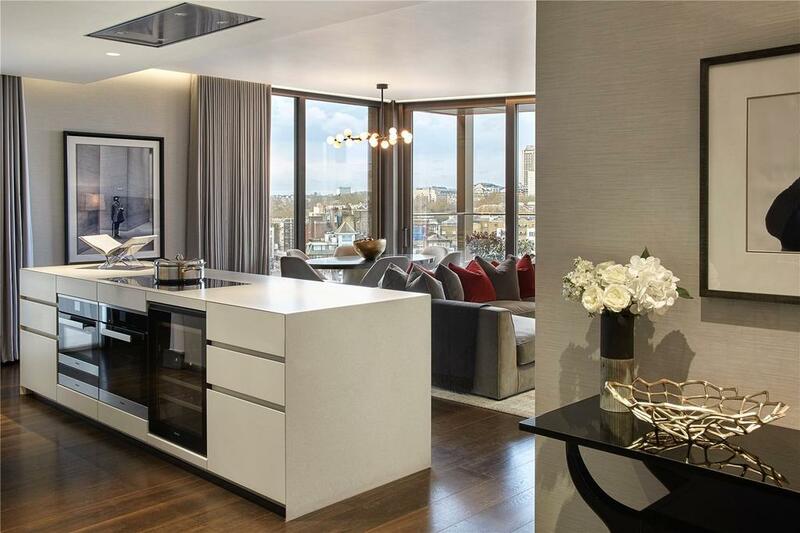 With the four penthouse apartments already sold at Land Securities’ clean-cut Kings Gate Walk building designed by Patrick Lynch, Strutt & Parker’s London New Homes division is offering one of the more impressive of the remaining 96 apartments and studios on offer. 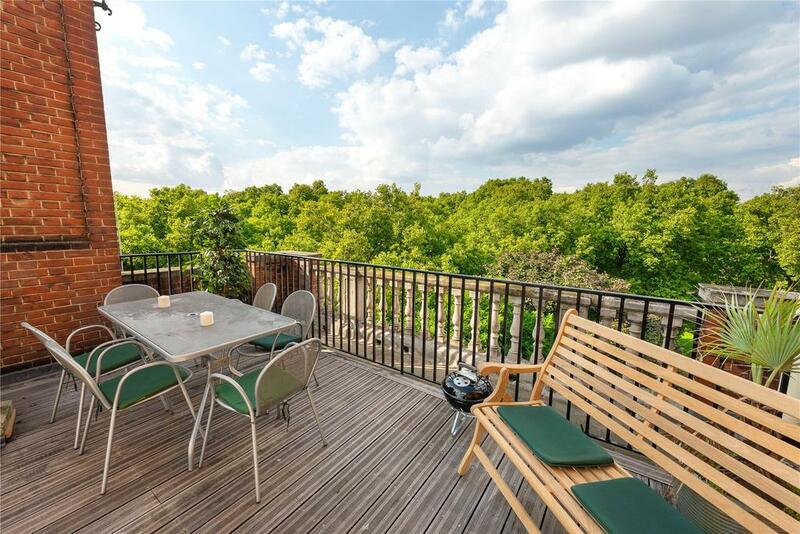 For sale at a guide price of £2.9 million, this is an eighth-floor, three-bedroom apartment, with a fully fitted open-plan kitchen and a stylish oak-floored reception room that has large windows leading onto a private balcony, with views to the north and south. Meanwhile, Knight Frank and Savills are handling sales of the remaining 19 properties at Land Securities’ flagship Nova building on Buckingham Palace Road and Victoria Street, which has extraordinary views over the palace, The Queen’s private gardens and the terraces of nearby Belgravia. With all the one-bedroom studios now sold, prices range from £2.2m for a two-bedroom apartment to £20m for the one remaining penthouse. The wider Nova masterplan will include an array of 18 new delis, restaurants, cafes and bars. The development is also ideally placed for commuters travelling to the capital’s business districts or airports. The thoroughfare known today as Queen Anne’s Gate is made up of two streets – the eastern named Park Street and the western Queen Square – which were originally separated by a wall surmounted by an iron railing. No. 28 (formerly 10, Queen Square) is one of a terrace of Grade I-listed houses, originally built as fine town houses from 1702, for peers, politicians, writers and rich businessmen. Most of the houses were converted to commercial use in the late 19th and 20th centuries and converted back to private use in the 21st. ‘To stumble upon this most exquisite of streets is one of London’s best architectural surprises… also about the only place where you will see London houses of the 18th century in near mint condition,’ wrote the architectural historians Elain Harwood and Andrew Saint in London (1991). A Blue Plaque confirms that number 28 was once lived in by Lord Haldane, ‘statesman, lawyer and philosopher’; a 1720s sale document describes the house as ‘containing in front about 29 feet and in depth 40 feet, three storeys high, with a large hall, two parlours and two staircases on the first floor, three rooms on each of the other floors, and kitchens, washhouses and other offices underground’. The entire house has been refurbished to 21st-century standards of comfort and efficiency, while highlighting its many grand original features, such as the panelled entrance hall and the beautifully carved English-oak staircase.  In all, it now offers six reception rooms, five bedrooms and six bathroom. Notable rooms include the formal dining room overlooking the main terrace and St James’s Park beyond, a front reception room and a state-of-the-art wine-and-cigar room on the ground floor; on the piano nobile above, there is a formal study at the front and, to the rear, a grand drawing room, five windows wide, with even more spectacular, green views of the park. The garden floor houses more informal living spaces, including a modern kitchen/breakfast room and a huge, 600sq ft, open-plan dining and living area, with doors leading to the landscaped garden. 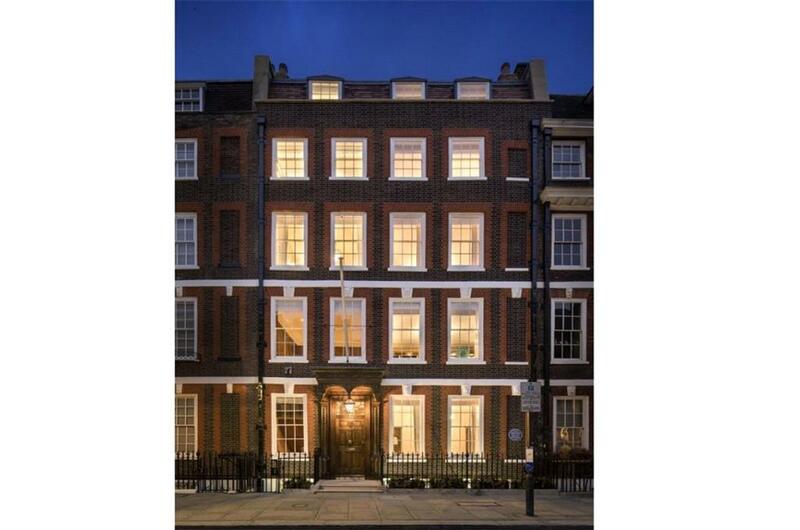 This enviable modern masterpiece is currently for sale through Knight Frank and Dexters at a guide price of £19.5m. 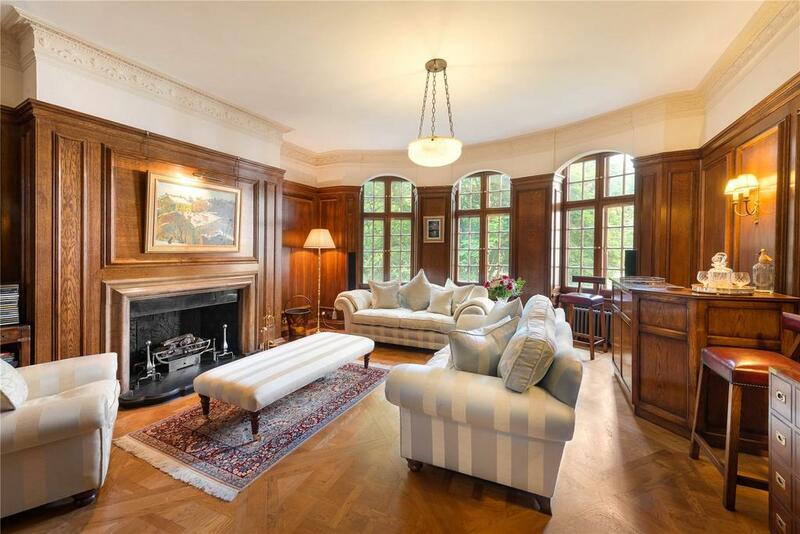 Around the corner from Queen Anne’s Gate, Strutt & Parker are handling the sale – at a guide price of £8.95m – of the charmingly authentic, Grade II-listed 20, Old Queen Street, a splendid Arts-and-Crafts house originally designed by the Scottish architect Francis W. Troup as a family home for Henry Gage Spicer of Spicers’ Paper. The present owners renovated the property in 2009, when great care was taken to highlight its character. 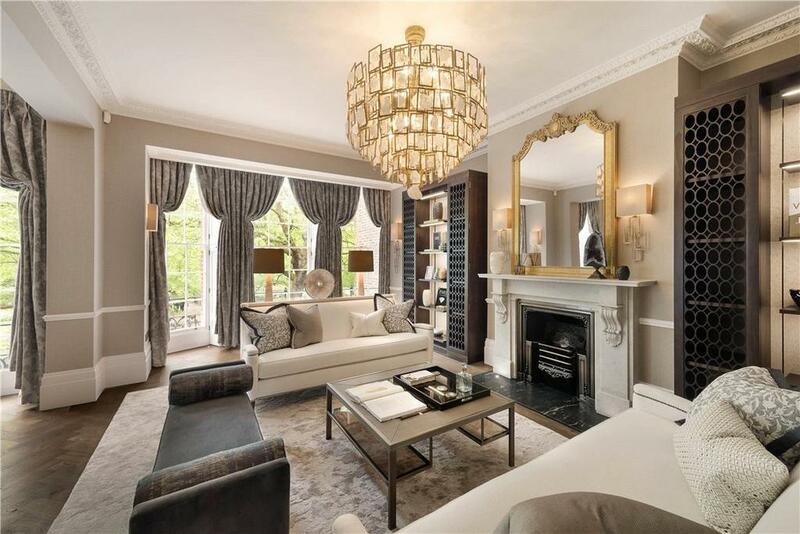 The house, which boasts an impressive panelled drawing room, five double bedrooms and four bathrooms on six floors, all of which have views of St James’s Park, has a light well running through its entire height, which allows natural light to flood the interior. 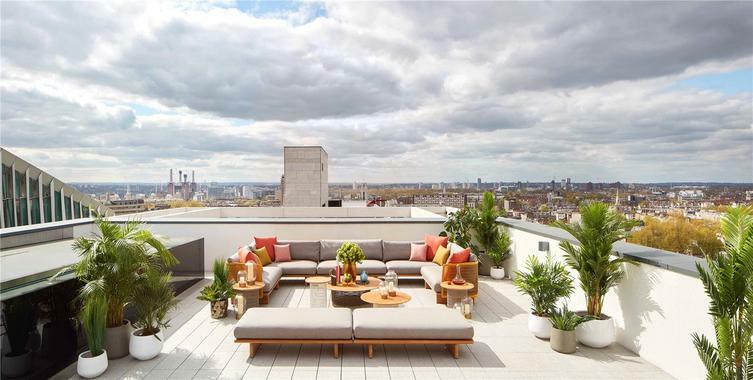 Various outside living areas include a gated entrance portico, a terrace leading to a large shared garden – and, through a private gate, to St James’s Park – and a large, decked roof terrace overlooking the landmark-studded skyline. 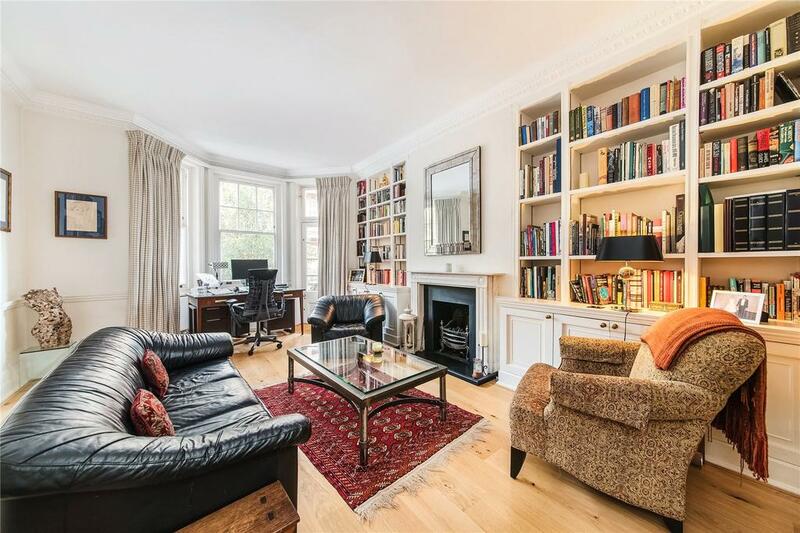 Savills (020–3430 6860) quote a guide price of £2.8 million for a 2,282sq ft, second-floor, lateral apartment at 165 Ashley Gardens, which has versatile and well-proportioned living space throughout. ‘This is an ideal family home or pied-à-terre, with accommodation comprising 2/3 reception rooms, 3/4 bedrooms and two bathrooms, with a contemporary kitchen/breakfast room and a good sense of natural light in every room,’ the agents say.